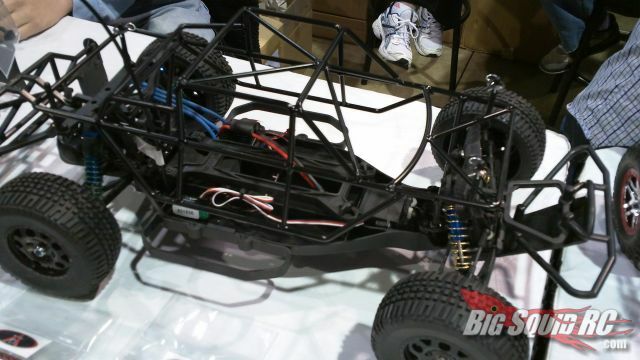 VG Racing showing off new roll cage for SC10 « Big Squid RC – RC Car and Truck News, Reviews, Videos, and More! The cool cats at VG Racing were living it up at their first RCX showing. And one of their big, new items is this metal roll cage for the Team Associated SC10. It’s so new, in fact, that they had just received their shipment of them a couple days ago and haven’t had a chance to put them up on their site yet. The roll cage is a drop-on fit and it powder coated for a durable finish. The price will likely run around $60 and it’ll be available for order as soon as they get a moment to catch their breath after RCX. So if you’ve been cussing AE for not putting a cool roll cage on the SC10, keep an eye on the VG Racing store for more info. More RC Expo 2011 coverage.